A large breed, prized for its meat, Pekins are an iconic white duck. 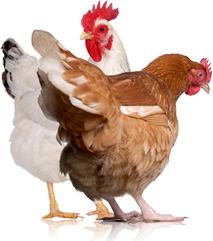 Use: This heavyweight breed serves as a fast-growing source of rich, succulent meat and lays up to 175 whitish eggs a year (but they aren’t keen on setting). 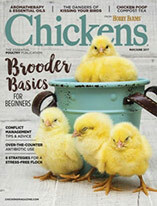 Reared around people, Pekins also make engaging, friendly farmyard pets and 4-H projects – and they’re pretty, too. History: Sources believe the ancient Chinese domesticated the wild Mallard at least 3,000 years ago; these savvy people eventually developed a number of different duck breeds, including our best-known domestic dabbler, the Pekin. The first of these tasty meat ducks traveled to the U.S. from Peking, China (now called Beijing) back in 1873. Thanks to their speedy growth and efficient feed conversion, Pekins soon became favorites of the commercial duckling meat market. They remain popular for meat production and ubiquitous on farms today. Conformation: If ever a ducky stereotype existed, the quacky Pekin is it. These common denizens of children’s books and farm ponds possess white plumage (often with a creamy cast to it), large heads, thick necks, wide bodies, and bright orange feet and bills. Weighing approximately 9 to 10 pounds, adult Pekins lift up their tail feathers jauntily as they waddle around. Their cute, Easter-card ducklings have fluffy yellow down and imprint easily. Special Considerations/Notes: The laid-back Pekin is adaptable and hardy, but its phenomenal growth rate can predispose it to lameness and other health problems. Choose birds with good, strong legs and avoid feeding growing fowl a diet too high in protein if you plan to raise them as pets, show birds, or breeders rather than for slaughter. 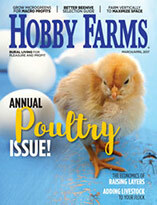 In his book, Storey’s Guide to Raising Ducks, veteran raiser Dave Holderread recommends a diet with 15 to 16 percent protein for ducks 3 to 8 weeks of age.